I thought of sending you some Nin material for you to use (or not) in your blog. I know she would have liked sharing this material with others. Here’s a first. Please let me know if this is in a format you can place in the blog- and if you would like for me to send more. 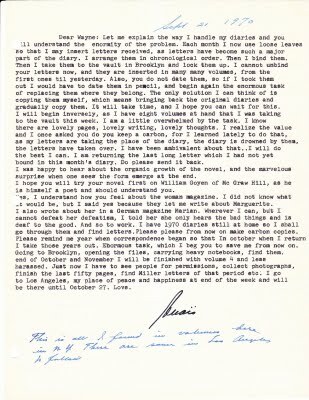 transcription of Anaïs’s words for those who are accustomed to zooming in on material to read.